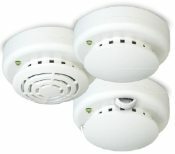 Fire Safety Systems Upgrades in Burnaby & Vancouver Area. For a FREE Estimate & Consultation Call Now! Identifying the best fire safety products for your building is essential. Whether your building is a multi-story office complex or a single-unit retail outlet, we have products suited to meet your needs. We are proud to offer fire safety products, control panels, devices, and accessories engineered to work in unison, providing reliable performance and worry-free operation for years to come. A wide range of products allows the freedom to tailor each system to the needs of the building. With flexibility built into every control panel, there is sufficient room for upgrades, expansions, and retrofits long into the future. Your Safety System Upgrade Can Be More Affordable Than You May Think! Abbotsford, Burnaby, Chilliwack, Coquitlam, Delta & Tsawwassen, Langley City & District, Maple Ridge, New Westminster, North Vancouver City & District, Pitt Meadows, Port Coquitlam, Port Moody, Richmond, Surrey, Squamish, Vancouver, West Vancouver and the whole Lower Mainland.